As Senior Vice President and Managing Director for Core5, Lisa’s chief responsibilities include business development and capital deployment in the Southeastern United States. Her primary focus is on land acquisition, entitlement and development of modern logistics facilities for inventory and build-to-suit requirements, in addition to sourcing valueadd acquisition opportunities. A 25-year+ veteran of commercial real estate, Lisa’s career achievements include overseeing more than 30 million square feet of industrial investment sales and leases for a total market value in excess of $1 billion. 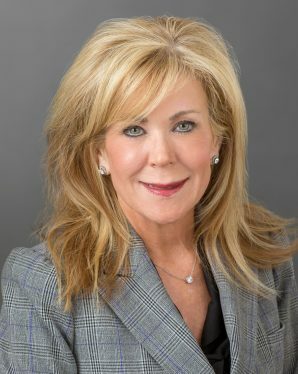 Since 1997, she has consistently ranked among the top five industrial producers in Georgia by the National Association of Industrial and Office Properties (NAIOP) and the Atlanta Commercial Board of Realtors (ACBR). Lisa holds a Georgia Real Estate License and has earned the distinguished Certified Commercial Investment Member (CCIM) designation. In addition to active memberships with the ACBR and NAIOP, she is a member of the Society of Industrial and Office Realtors (SIOR) and the Council of Supply Chain Management Professionals (CSCMP). Lisa acquired a Bachelor of Science degree in Finance from the University of Southern Mississippi in Hattiesburg, Mississippi, and a Masters of Business Administration from the University of South Carolina in Columbia, South Carolina. Lisa’s past duties involved asset management, development, investment sales, and marketing and leasing of commercial real estate. Lisa previously served in Senior Vice President and Vice President roles at DCT Industrial Trust and IDI (now IDI Logistics).